Toilets: Public and disabled toilets are available on the first floor of the Management Suite. The disabled toilet facility is on the first floor of the Management Suite, above Subway. The amenities have been funded by Kent County Council to support visitors to the centre with adult social care needs. The space has been decorated in a bright colour scheme and includes features such as a height adjustable bench, accessible handles and state-of-the-art alarm system. See individual stores for additional toilet facilities. Baby Change Facilities: A baby changing room is on the first floor of the Management Suite. See individual stores for additional baby change facilities. Car Parking: Our car park is free and we have ample disabled and parent & child parking spaces. These are distributed throughout our car parks which stretch from Primark to Marks and Spencer and from Travelodge to Mecca Bingo. Please be aware that neighbouring car parks can charge for parking and to always read the signs where you have chosen to park to confirm whether fees apply. Disabled Access: We do our best to make this venue accessible to everyone. This venue has recently been audited by Disabled Go who have provided full details of accessibility and facilities for disabled persons. You can find the report on the Disabled Go website. Autistic Friendly: On Wednesdays and Sundays we do not play music on the shopping mall to make the centre more autism friendly. Please be aware however that the retailers themselves still could have music playing within their stores on these days. There is an autism quiet room in the Community Hub which is near Next. If it is required please just approach a member of our Security and they can open it on request. Should it be busy then there will be space in the Management Suite. Mobility Assistance: Please contact Ability Plus on 01843 265042 for scooter or wheelchair hire or visit their store next to Subway. Please note that Ability Plus is not open on Sundays. Photo Booths: There is a photo booth on the ground floor of the Management Suite and in the WHSmith store. Cash Machines: Two HSBC ATMs are based outside the HSBC bank in the main Compass Square. An external Barclay’s Bank ATM is based outside WHSmith. Health Monitor: A Health Monitor can be found on the first floor of the Management Suite. Lost Property: Our team make every effort to ensure that lost property is returned where possible. If you have lost an item whilst in the Centre, please make enquiries at Guest Services in the management suite above The Body Shop. Your details will be taken and if the item is found, your goods will be returned to you. Music on the mall: Westwood Cross has provided mall music for your enjoyment, but we also have two music free days; Wednesday and Sunday. Dogs: Well behaved dogs are welcome, but must be kept on a lead. Please ensure you clean up after your dog and remember not to leave your pet in a car, especially on a hot day. If your dogs need a drink we keep a bowl of water for them outside the management suite, around the corner from The Body Shop. 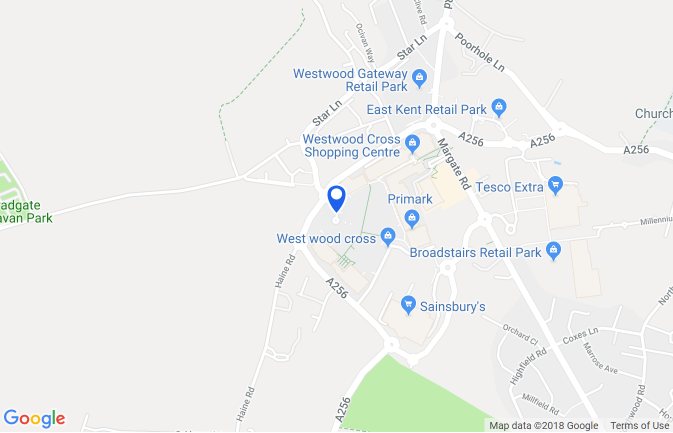 Defibrillator: There are two Defibrillators at Westwood Cross. One in the Management Suite and another at DW Sports Fitness.